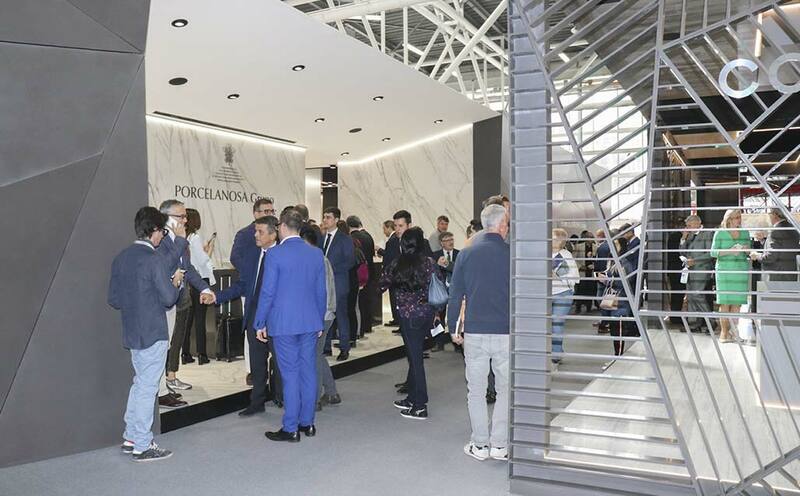 As usual, the number of visitors on the PORCELANOSA Group’s stand at the CersaieFair has risen compared to previous years. The new products presented by the eight firms that make up the Group have attracted the attention of visitors and press alike. This year, once again, the aim of the edition is to welcome the new trends that will take us through 2018. At KRION®, we would like to thank everyone who came to visit our stand and, for those of you who were not able to make it all the way to Bolonia, we would like to invite you to discover these and many more novelties at the Porcelanosa Group’s 25th International Global Architecture Exhibition, which will be taking place on our premises in Villarreal next January. Once again, thank you so much for making the PORCELANOSA stand a resounding success!! !